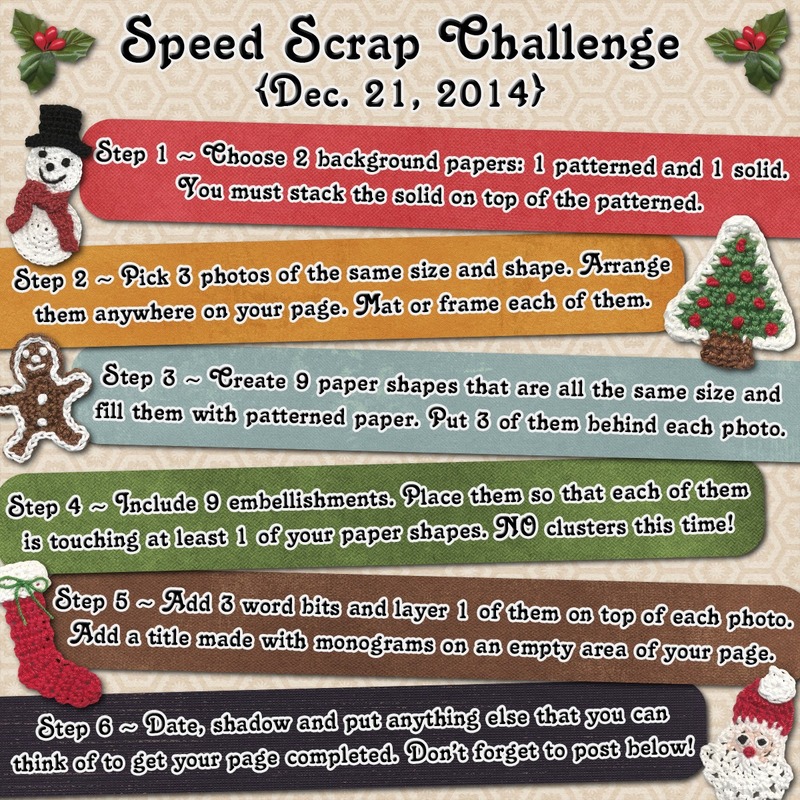 MyMemories Blog: Speed Scrap Challenge! Step 1 ~ Choose 2 background papers: 1 patterned and 1 solid. You must stack the solid on top of the patterned. Step 2 ~ Pick 3 photos of the same size and shape. Arrange them anywhere on your page. Mat or frame each of them. Step 3 ~ Create 9 paper shapes that are all the same size and fill them with patterned paper. Put 3 of them behind each photo. Step 4 ~ Include 9 embellishments. Place them so that each of them is touching at least 1 of your paper shapes. NO clusters this time! Step 5 ~ Add 3 word bits and layer 1 of them on top of each photo. Add a title made with monograms on an empty area of your page. Step 6 ~ Date, shadow and put anything else that you can think of to get your page completed. 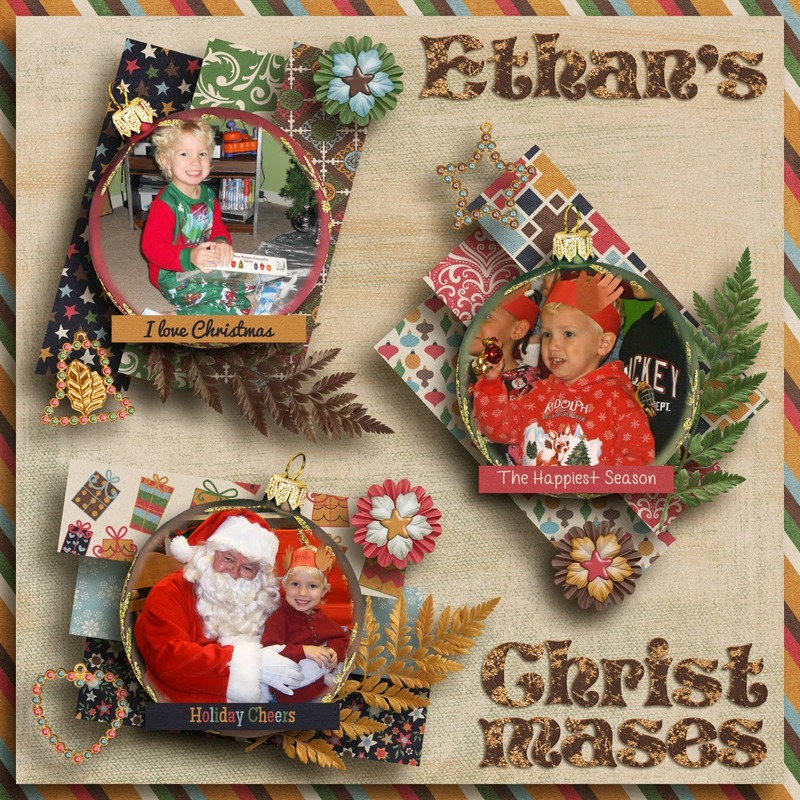 The kit I have used to make the Instructions Page and my Layout is Cozy Christmas-Bundle from Lisa Rosa Designs.